Makeup Mondays With Mario: Pores No More! Celebrity makeup artist Mario Dedivanovic is answering your burning beauty questions!!! Every Monday, he will answer a beauty/skin care question as part of a weekly column on Spoiled Pretty, Makeup Mondays with Mario. If you’re reading this question and about to answer it – thank you, thank you, thank you! My problem is that I have HUGE pores. My pores are a big issue for me and I hate the way they make my skin look. Are there any skincare products or makeup that you can recommend that will shrink and/or conceal them? Thanks so much for your expert advice. I’m your biggest fan! 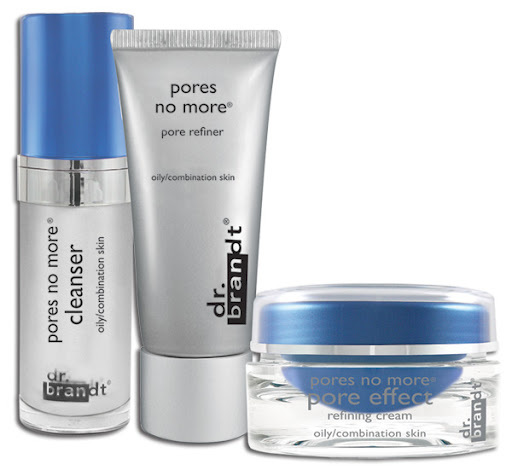 I’ve got three words for you – “Pores No More.” Famed dermatologist Dr. Brandt created Pores No More products to help visibly reduce the size and appearance of large pores. You can follow with your normal makeup routine or even try a product like Studio Secrets Professional Magic Perfecting Base by L’Oreal. Just apply with your finger to the T-zone and any areas with large pores. It will smooth out the skin’s texture and fill in fine lines and pores for a more flawless makeup application. Thanks for visiting Makeup Mondays with Mario! Got a question for Mario? Email your makeup and skin care queries to spoiledprettyquestions@gmail.com, and check back next Monday to read Mario’s expert advice! ← Kim Kardashian’s Wedding Makeup!